Lycogel Breathable Camouflage Foundation SPF30 is available in 12 different shades and provides undetectable coverage that lasts all day. 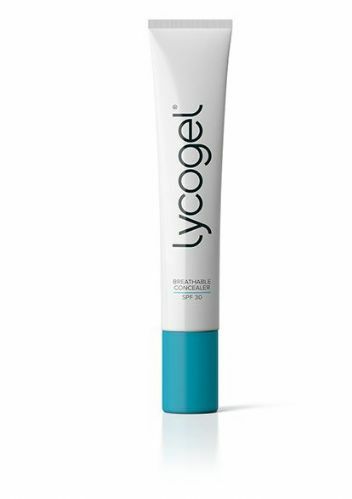 Lycogel is specially made to deliver each and every one of the LYCO-Complex’s 12 active ingredients to the skin for maximum benefits and work together to deliver oxygen, moisture and nutrients to the skin. Breathable Camouflage is suitable for sufferers of acne, eczema, psoriasis, pigmentation and rosacea. The foundation provides excellent coverage and can also be used on scarred or burned skin. Lycogel Breathable Camouflage is water resistant for up to 90 minutes of swimming, transfer resistant and will keep your face protected with non-paraben SPF 30. Overcome any skin problem with this build able coverage that features an elegant matte finish with colours which can be mixed and layered to suit your coverage needs. Enjoy a long lasting flawless look that you can maintain throughout the day.